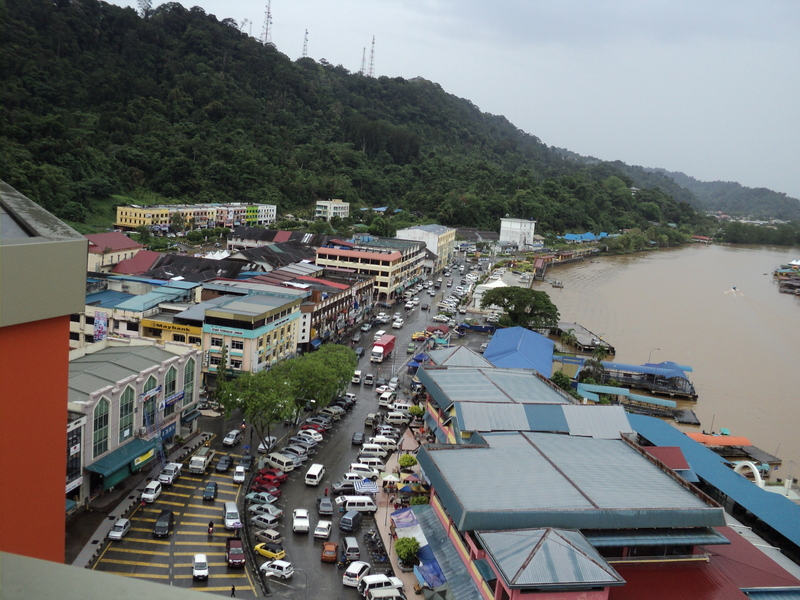 Modern-day Limbang — James Wong’s hometown. One of Sarawak’s iconic leaders is the late Datuk Amar James Wong Kim Min, a timber tycoon who pioneered the founding of Malaysia. Born in Limbang on August 2, 1922 James was the oldest son of St Thomas’ school teacher William Wong Tsap Eng who was determined to give his children a sound education. Later Tsap Eng invested in a 500-acre rubber plantation and was able to send seven-year-old James to his Alma Mater in Kuching. However, within a few years of schooling James had to return to Limbang because his father’s rubber business suffered during the Great Depression of the 1930s. As such Tsap Eng took on the role of teacher for the family of seven — four boys and three girls — and when he recouped his losses, sent James back to St Thomas’ to complete his studies. 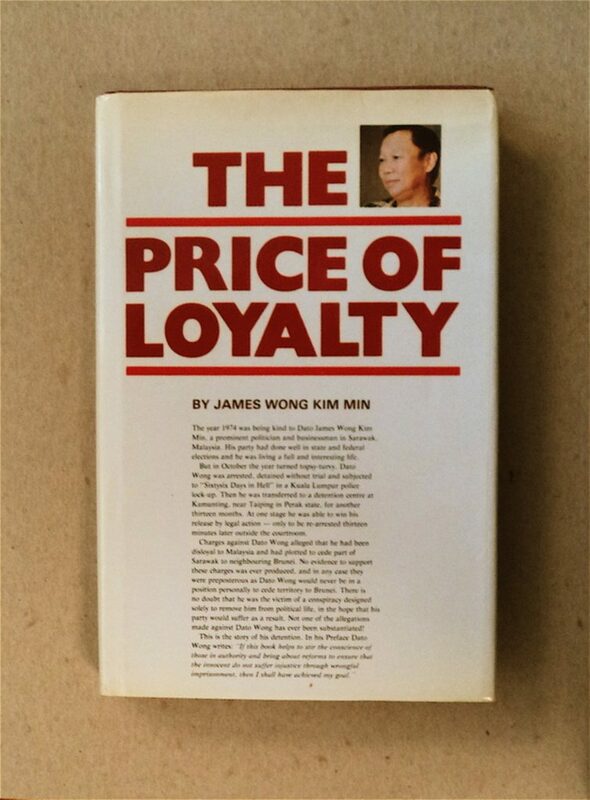 James’ book “Price of Loyalty”. James’ father, William Wong Tsap En in 1920. 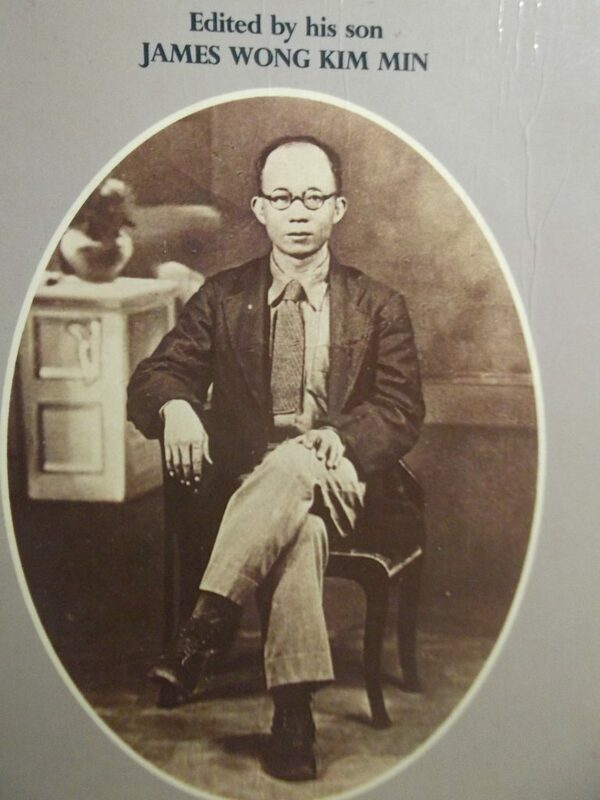 James went on to continue his education at the Serdang Agricultural College in Selangor but when War broke out was forced to return to Limbang. Life in Limbang was difficult and sadly just before the Japanese surrendered, his father was taken to Brunei where he was executed on allegations that he was anti-Japanese. Despite this and at the age of 23, James had to take on the responsibility being the “father” of his siblings. Determined to make something of himself, James started Limbang Trading Sdn Bhd (LTC) in 1945 – a company whose core business was buying and selling of rubber and Malacca canes. But James was more interested in harvesting hill timber because after the war the logging industry began to pick up and applies for a forest licence for a timber concession in upper Limbang. Initially, the colonial authorities, particularly the Resident of Limbang, John Fisher tried to discourage James because hill logging was new and untested. It was a decision James would not regret because he became the doyen of hill logging in Sarawak. Deputy Chief Minister James Wong (most right) with Sarawak’s inaugural six-member cabinet on July 22, 1963. James in his book “The Price of Loyalty” (1983) he said: “The success had far-reaching consequences. From Sarawak’s point of view, it laid the foundations of a hill timber industry. As LTC’s business began to flourish, Wong decided venture into politics and became a member of the “Council Negri” Sarawak Legislative Assembly in 1956. 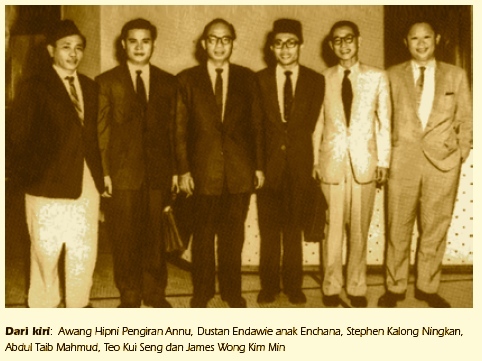 On April 10, 1961, James teamed up with several veteran Iban politicians from Simanggang and established the first native-based Sarawak National Party (SNAP). Among his peers were former District Officer Jonathan Sampar Tinker — SNAP’s first president — and Hospital Assistant (HA) Stephen Kalong Ningkan. In the early 60s, James was picked to be one of pioneers of the formation of Malaysia. On July 22, 1963 SNAP was asked to helm the Sarawak Alliance coalition comprising the Rajang-based Barisan Jati Sarawak (Barjasa) and Sarawak Chinese Association. James was named the coalition’s first Deputy Chief Minister in the inaugural six-member cabinet Ministers led by Tan Sri Stephen Kalong Ningkan. The other members comprised SNAP’s Datuk Amar Dunstan Endawie Enchana, Datuk Teo Kui Seng and Datuk Awang Hipni Pengiran Anu and, current Governor of Sarawak Tun Abdul Taib Mahmud — the youngest member. But the Sarawak Alliance coalition did not last long because three years later on June 16, 1966, Kalong Ningkan was removed from office following a constitutional crises after he removed one of his cabinet members, Barjasa’s Abdul Taib Mahmud. As Sarawak’s longest serving State assemblyman. Forming the opposition, SNAP became a political “powerhouse” which dominated the State legislative assembly until the mid-1970s. In 1970 James was elected to the Malaysian parliament and became an outspoken Leader of the Opposition. As SNAP began to grow in strength, James who had been a torn in the flesh of the Barisan Nasional (BN) coalition became a marked man. On October 30, 1974 James was arrested under the Internal Secrets Act (ISA) for purportedly trying to sell Limbang to Brunei, a charge which he denied. While he was sent to the Kamunting detention camp in the peninsular, five other SNAP’s stalwarts were also picked up and taken to Kuala Lumpur where they were interrogated. Recalling his journey to the Federal capital, James said: “During the two hour flight to Kuala Lumpur I was given a packet of sandwiches and a container of orange drink. The journey was noisy and cold because the aircraft (a RMAF Caribou) was not soundproofed or pressurised, and we were flying about 10,000 feet. “There was also a coffin in the aircraft. I spent much of the journey wondering why this should be happening and what Malaysia had come to that a man could no longer speak his mind”. During his two years of detention, the remaining SNAP leaders agreed to become a member of the government BN coalition. In January 1976 James was released from detention and ten months on November 1, SNAP joined the coalition. Instead of being broken man, James returned to Kuching with the hope of rebuilding SNAP to its past glory. But there was one more episode in the 1980s which faced the Limbang tycoon — an internal conflict within SNAP which led to the party being split into two — one group led by the charismatic Iban leader Tan Sri Leo Moggie anak Irok and James Wong. James Wong after his release from detention. But Moggie’s new party named “Parti Bansa Dayak Sarawak” or PBDS made a grave error when they supported a Sarawak political group opposed to the Chief Minister Taib Mahmud, who commanded a large majority of the state seats. In a battle royale between the two political giants, Taib’s team of veterans from the multi-racial Sarawak United People’s Party (SUPP) and SNAP won the day with a 28-20 victory. Appointed as Minister of Environment, James went on to cut down on LTC’s logging activities and spent time drawing up legislations and laws that protected the environment. After retiring in 2001 he spent much of his time with his time writing and his wife Valerie Bong and family. The last book he wrote was entitled “Memories” (1960-2001). James was also an avid writer and published several poems and books including “A Special Breed” (1981), “Shimmering Moonbeams (1983), No Joke James” (1985), the Birth of Malaysia and “Hill Logging in Sarawak” (1992). On July 18, 2011 James suffered a heart attack and passed away at the age of 89; he was the longest serving assemblyman in the country having remained in office for almost 49 years in office. James also left behind a legacy of being an astute veteran politician with a fortitude and conviction that will be difficult to emulate. 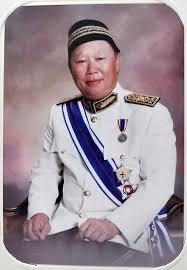 Remembering James Wong Kim Min: Malaysia’s Grand Old Man of Politics 0 out of 5 based on 0 ratings. 0 user reviews.